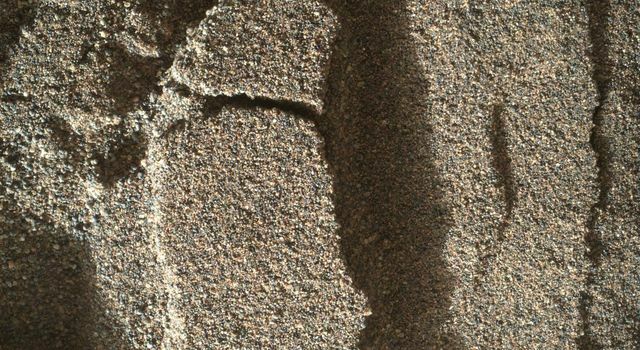 › Curiosity is using its wheels, as well as its science payload, to investigate sand that forms active dunes on Mars. › Plans call for the rover to scoop up and sieve sand for onboard laboratory analysis. 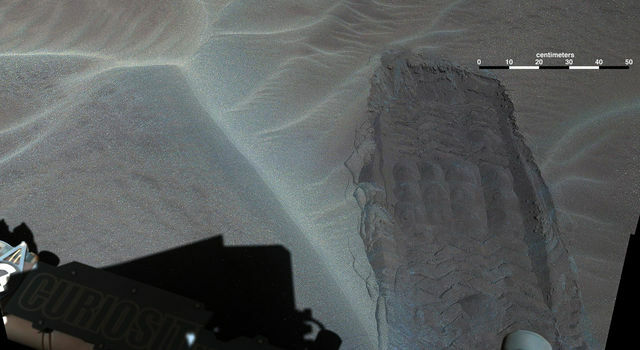 NASA's Curiosity Mars rover has begun an up-close investigation of dark sand dunes up to two stories tall. 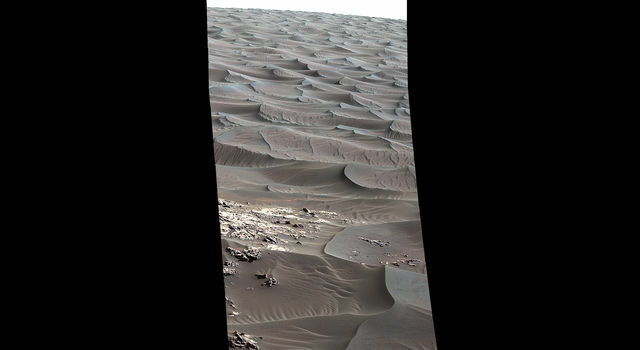 The dunes are on the rover's trek up the lower portion of a layered Martian mountain. The dunes close to Curiosity's current location are part of "Bagnold Dunes," a band along the northwestern flank of Mount Sharp inside Gale Crater. Observations of this dune field from orbit show that edges of individual dunes move as much as 3 feet (1 meter) per Earth year. 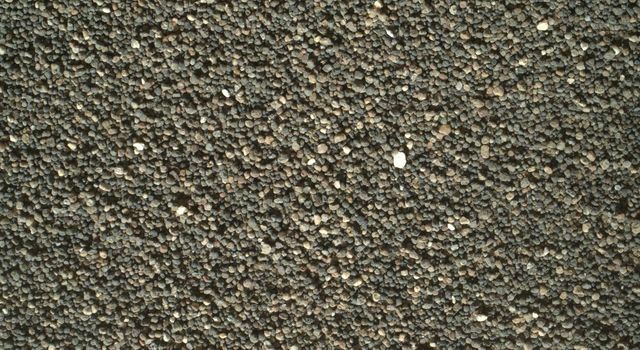 The rover's planned investigations include scooping a sample of the dune material for analysis with laboratory instruments inside Curiosity. Curiosity has been working on Mars since early August 2012. It reached the base of Mount Sharp in 2014 after fruitfully investigating outcrops closer to its landing site and then trekking to the mountain. The main mission objective now is to examine successively higher layers of Mount Sharp.